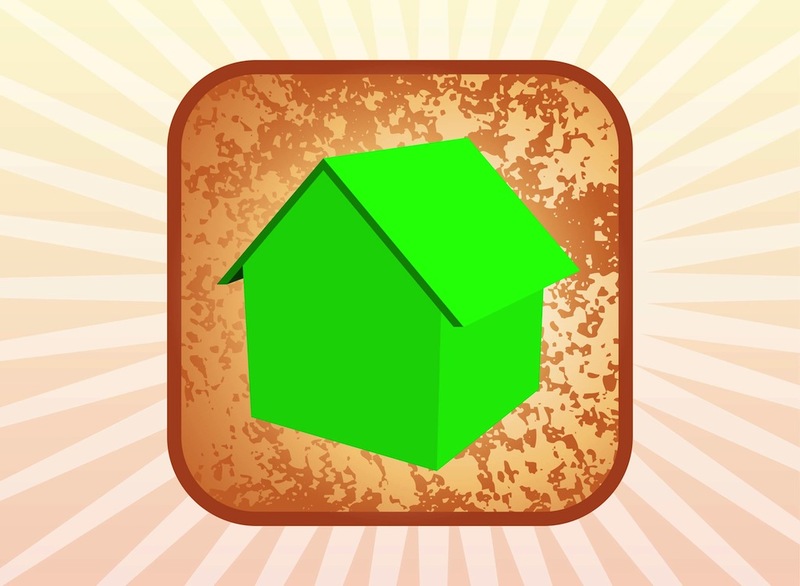 Vector icon with a bright color house on grunge background. Rounded square icon with three-dimensional house image. Free vector graphics for real estate, architecture, home, houses and buildings designs. Download house vector for app icons, company logos and stickers visuals. Tags: Grunge, Home, Icon, Logo, Property, Real Estate, Realtors, Splatter.